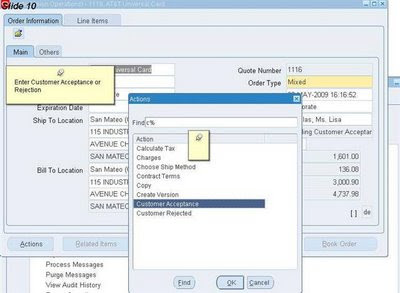 Applications and Integration Blog: Sales Quotes in Oracle Order Management. 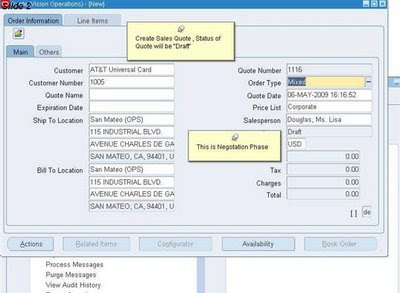 Sales Quotes in Oracle Order Management. Defaulting Rule & Generation of Defaulting Rule (When Required). Data Flow from Quotes to OM Order. Oracle Quotes offers limited capability to create Quotes and Progress it through the Negotiation phase and finally creates Sales Order.In case your Organization has complex / advance quoting needs you should Implement Oracle Sales Quoting. One of advantage of Sales Quoting is that it enhance user experience , since it is part of OM , it retrieve all the relevant information from the Order management and once created and approved it creates Sales Order without much input from user. 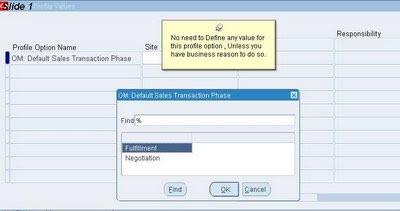 In Oracle OM Quotes, Oracle has provided Negotiation , Customer Acceptance and Sale Order creation feature. 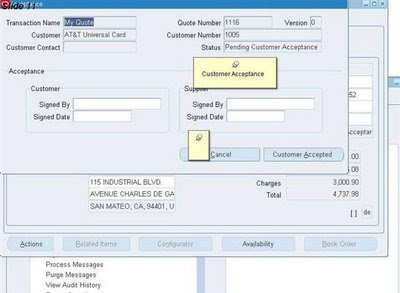 1.Seeded Work flow ( Oracle has Introduced 2 worklfows ). Workflow has introduced for the Order Header Type Only (OENH) , there is no Workflow for the Quote Lines. 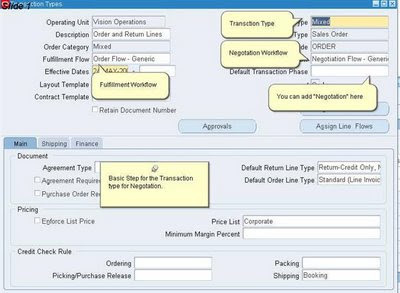 Negotiation Flow - Generic with Approval - It Supports Negotation , Internal Approval , Customer Acceptance and finally conversion into Sales Order. 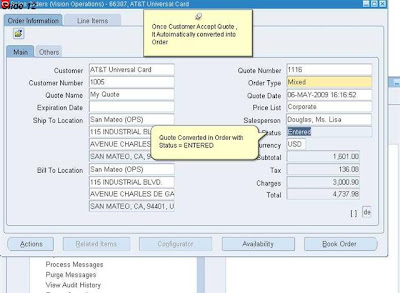 With these workflow customer has flexibility to customized their Quotes process by adding or removing Functions. 2.Quote Exipiration Date - Every Quote has expiration date , once expiration date reached , Quotw will be expired and Quote Headre workflow is eligible for Purge. 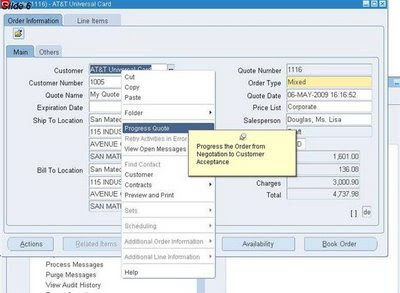 2.Defaulting Rule Setup - This Defaulting Setup is required to populate the Transaction phase = "Negotation" in Order Header Form.Common Mistake in these area are (User forgot to generate the defaulting Rule after enabling this Rule). 3.Profile Setup - this is Not a required setup , unless their is business requirement .We can leave this as blank. Create Quote - User Interface Similare to OM.When you save Quote , Quote status will be "Draft" and it indicate the negotation Phase. 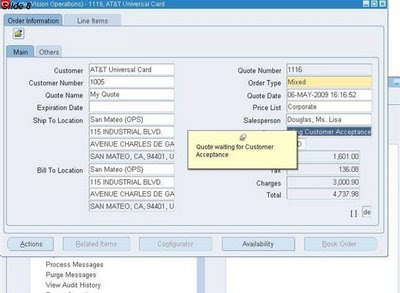 Enter line details for quote , there will be no Line level workflow associated with Quote lines. Quote Header Workflow is in Submit Draft Eligible Notified Status. Quote status will be now "Pending Customer Approval". Once receive confirmation from customer regarding Approval /rejection , approve or reject the quote. Once Quote is Approve , It automatically converted in Sales order . 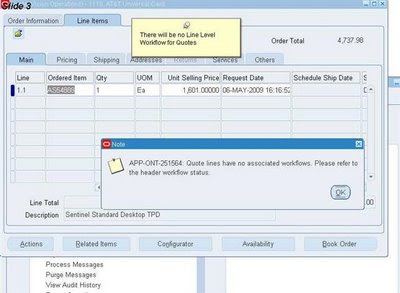 System will Automatically Assign the Order Header level and line level workflow to Sales Order and Lines. HI need query to find Number of orders that have been shipped and number of orders received. Need this broken out by country..
Hi i need quote conversion code . Please share with me if u have. Thank you so much! Quoting and Order Management are too different Modules , you can create Quote in HTML Quoting and then convert this into Sales Orders. 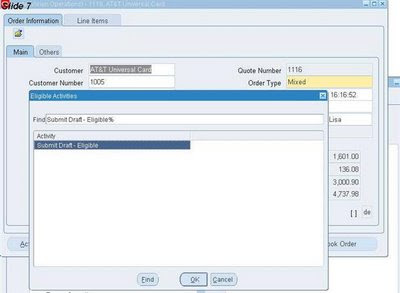 Hi, there is some way to import QUOTE with run request 'Order Import' in OM -Order Management ?